REVIEW SUMMARY: An engaging military sf series that’s quick to consume. MY RATING: See individual reviews below. BRIEF SYNOPSIS: Wilson Cole mutinies from the Republic Navy and tries to make a life for himself and the people who join up with him. PROS: Quick and fun reads; amusing characters and dialogue; consistent writing style and quality; economy of storytelling. CONS: Cole’s high morals hinder his ability in some roles, and seem ambiguous in others. BOTTOM LINE: Resnick’s military sf is engaging, fun and consistently enjoyable. Despite a prolific career in science fiction, the Starship series is Mike Resnick’s first foray into military science fiction. The star of the books (four of them have been published so far, with more to come) is Wilson Cole, a military man with high morals and a low tolerance for nonsense. Each book follows Cole as he assumes a new role, first as part of the Republic Navy and then away from it. Along the way he makes friends and enemies and tries to make a living by leveraging his military acumen and a stolen starship. The emphasis of Resnick’s military sf is on tactics and strategy rather than combat. The single-threaded plots devote much attention to the logistics of running a military ship: things like sleep rotations, reassigning personnel and finding time for food, whereas military actions are resolved in mere paragraphs. And Resnick’s quality never falters throughout the first four books: they maintain a consistent level of enjoyment, which is to say that if you like one you’ll like them all. Each of the books are also loaded with Extras by way of appendices that explain timelines, back stories, behind-the-scenes insight and ship layouts. In Starship: Mutiny, readers are introduced to Wilson Cole, a maverick within the Navy of the Republic, who is assigned to the dilapidated starship Theodore Roosevelt. The Republic is at war with the Teroni Federation yet the “Teddy R.” is stationed where there is little action. That’s because it serves as a punishment of sorts for the navy’s troublemakers and malcontents – like Cole. Cole has been twice promoted (for acts of heroism) and twice demoted (he has serious problems with blind obedience) and, despite being a hero in the eyes of the citizens, is a huge embarrassment for the Navy. Like Cole, the other crewmembers of the Teddy R. (mostly humans and a few well-imagined aliens) are dedicated military personnel who broke a few rules under circumstances acceptable to common sense, but not the Navy. But none have done so to the degree of Cole, whose defiance has led to hero status amongst his peers. Cole soon gets into trouble again and again as one insubordinate act leads to another and ultimately, as the book’s title suggests, is driven to mutiny. Perhaps the most notable quality of Starship: Mutiny is how fast the story progresses. This is because (1) Resnick’s prose is (as always) well-crafted and easily read, and (2) The story is plot-centric and does not stop for info-dumping and any more world-building than is needed to drive the story. This storytelling economy is one of Resnick’s strong points and makes for a quick, enjoyable hit of military sf. As to the other characters in the book, Cole has almost immediate rapport with certain crewmembers, including his longtime alien friend, Commander Forrice; the Security Chief, Sharon Blacksmith; Lieutenant Christine Mboya; the Bdexni pilot named Wxakgini; Ensign Rachel Marcos, and a few others. Cole unfortunately does not strike the fancy of the ship’s Captain, Makeo Fujiama, and the second-in-command, the alien Polonoi female Commander Podok. This causes some interesting dramatic tension as the Teddy R. finds itself in one compromising position after another. Starship: Mutiny is ultimately a fast-moving, absorbing story that’s peopled with interesting characters. I read this in two sittings and ate it up like candy. The ending sets up the next book – a new stage in Coles “career”, quite nicely. Starship: Pirate details the next stage of Wilson Cole’s livelihood. After becoming the political scapegoat of the Republic to which he dedicated his military career, Wilson Cole decides to take up piracy in the Inner Frontier away from the Republic. There’s just one problem: his success (and list of potential victims) is seriously limited by his morals. So Cole and his wayward crew experience some growing pains while they learn the ropes. 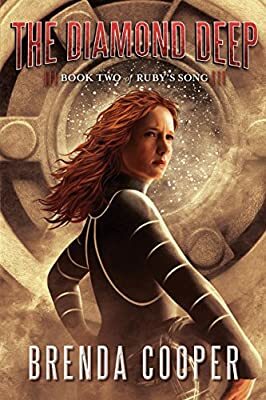 Cole also picks up a few new crewmembers – like the tough-and-likable Val, an otherwise top-notch pirate queen who finds herself without her ship. The crew of the Teddy R. must deal with other pirates, thugs, fences (like the comedic ally portrayed David Copperfield), and ultimately the most feared pirate of all, the alien known as Hammerhead Shark. With Starship: Pirate, Resnick maintains his swift prose delivery, although this time around it’s a little slower initially getting up to speed. The action is also somewhat hindered by Cole’s Pirate-with-a-heart-of-gold nature, which seems somewhat counterproductive to being a pirate in the first place. (I kept getting a Firefly vibe from this story, with Cole in the role of a slightly misguided Malcolm Reynolds.) But Resnick ultimately finds enjoyable ways to circumvent that, like a couple of well-sequenced insurance swindles and heists. As before, Cole’s military acumen is almost flawless, except for one hard-to-believe casualty that Cole’s demonstrated savvy seems sure to have avoided. Besides these nits, Starship: Pirate was nearly as enjoyable as its predecessor and still a fun, fast-moving read. The ending – as would be expected with the purpose and direction of this series – promises to resolve the “nice guy pirate” conundrum in a believable and logical way. This was another two-day read. Bring on the next one! In Starship: Mercenary, Cole and his crew are guns for hire. 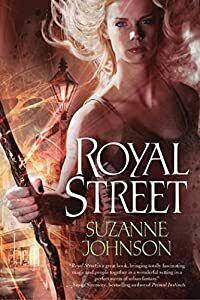 They take several jobs of varying success, but it is not until they befriend the owner of Singapore Station (The Platinum Duke) that the offers start pouring in. Particularly interesting were Cole’s adventures when his Third Officer, the pirate queen Val, decides that money is her prime motivator. It is then that Cole must defend a space hospital and Singapore Station from Val and the big, bad warlord Csonti. For Cole, being a mercenary has its plusses and minuses. The good news is the money, though there’s not so much that he and his crew would call himself rich. The bad news is that Cole still has problems reconciling his higher morals with his chosen profession. “Killer-with-a-heart-of-gold” just doesn’t ring true in the minds of readers, and Resnick never takes it there. But there are only so many jobs that a gun-for-hire can take on that do not involve a little bloodshed. Cole, then, comes off more as a vigilante hero than he does a mercenary. (Some jobs he even does for free.) However, in the end, it all works out to Cole’s benefit – though I am a little perturbed at the resolution with Val. Otherwise, the story is another quick, fun read that stays on track for the planned direction of the series. In Starship: Rebel, Wilson Cole finally turns his attentions towards the source of his own predicament: the Navy of the Republic. He has to. In this book, the Navy is shown to perform unspeakable acts, thus establishing them as the clear cut bad guys. Ultimately their atrocities make it personal for Cole, and so he decides to go after any navy ships that happen to frequent the Inner Frontier. The odds are stacked incredibly against him, and so Cole enlists the aid of the people (and aliens) who share a mutual dislike for the Republic. Like Starship: Pirate before it, Starship: Rebel was a bit slow at setting the stage for what was to come. But once the Navy made it personal the book was hard to put down. Cole once again exhibits an endless supply of confidence and aptitude and very rarely makes mistakes. However, I’m still trying to decide if the Cole character is becoming morally ambiguous. He seems to cause an awful lot of ancillary damage for someone who is trying to “do the right thing”. He’s somewhat of a grandstander, too, engaging in one-man missions that, strategically, make poor sense for the leader of an ever-growing fleet. But such is the way of rough-and-tumble characters in sf, I suppose. This is indeed Cole’s story and the book does not suffer from lack of action once the ball starts rolling. Cole engages in espionage, sets up traps and otherwise wreaks havoc with navy ships that wander in his part of the universe. The ending promises to ratchet up the inevitable confrontation with the Republic even further. Did you read them end-to-end? I’m going through all the currently-published Leary of the RCN books by David Drake (as well as the Aubrey-Maturin books by Patrick O’Brian, which inspired the SF series) and it is an interesting experience to see the plots and characters develop. >>Did you read them end-to-end? Almost. Over the holiday break, I read the first two, then Watchmen, then the last two. In doing so, I find there is always a balance between continuity and overdose. I didn’t want to wait too long between books, but I also didn’t want to read them exclusively. oh man! i was intrigued from beginning to the end, from cover to cover, wilson cole had my sympathy and my vengeance to go along with him. I love Mike Resnicks nack for keeping my attention. Robert Jordan and only A FEW others could keep my mind on there books for long, thanks Mike. Now to the real reason I’m typing away, is that…uhm. is there gonna be any more on this saga? i gotta know! thanks. The series was pretty much wrapped up in the final 5th book, Starship: Flagship. I have the 1st book in ebook somewhere. The style was too bare bones for me. It seemed more like a YA novel.